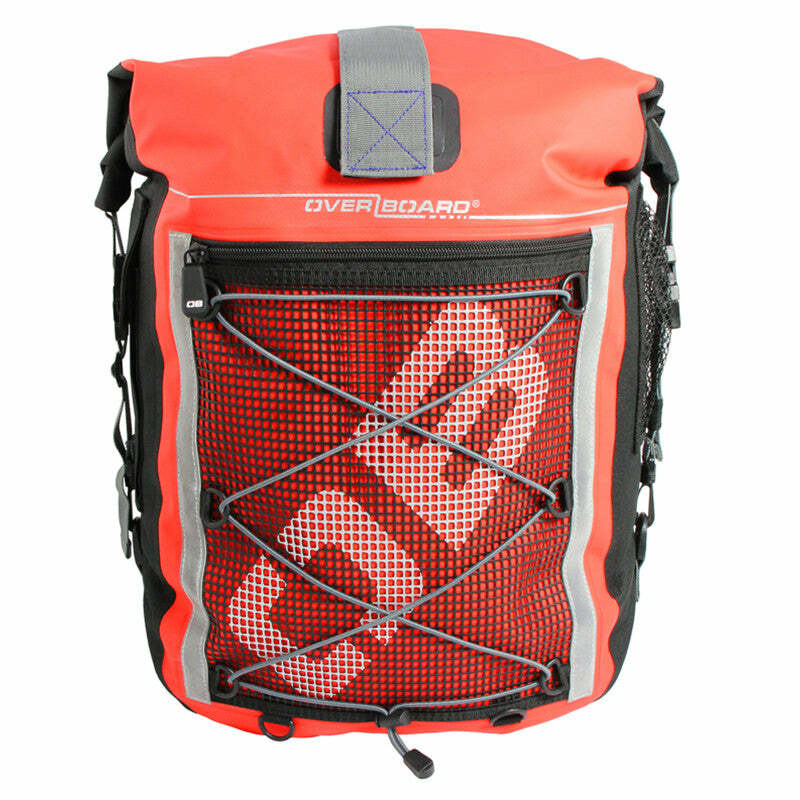 Keep your gear dry on the water with this Red Overboard Pro-Sports Waterproof Backpack, featuring a 100% waterproof roll-top design and ultra reflective strips for maximum visibility. No zips means no leakage, so this large waterproof bag has a seamless electronically-welded construction and a simple to use two-way sealing system, making it fully submersible. From the large front mesh zip pocket to the padded shoulder straps and air-flow back panel, this feature-packed Overboard Waterproof Backpack is a comfortable and handy bit of kit for any water-based sportsman.